The classic chrome is complemented by a blue enamel surround. Flawlessly crafted in Scotland, this unique belt buckle is a great fusion of simplicity and complexity. 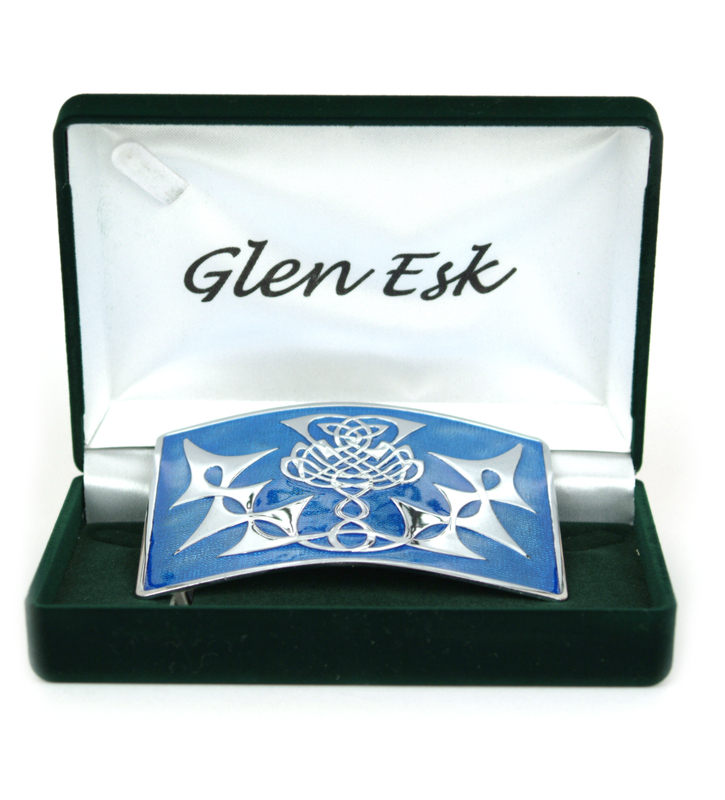 This is a timeless belt buckle that will add traditional highland flair to any kilt outfit.